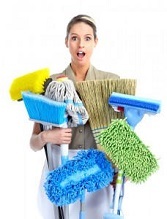 Office Cleaning London know that when it comes to dealing with property related services, especially domestic property, our clients like to feel that they are in safe hands and will be happy with the service that they receive. Everybody wants to live in a nice, safe, comfortable home in a nice area too. Our property management services are highly beneficial for those searching for a new home and also for estate agents and property owners. We offer trusted and reliable residential property management services which can take the stress out of finding a new home or for property owners and estate agents who are searching for a new tenant. 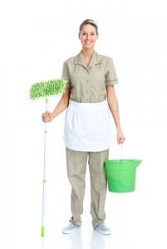 It is a service which is associated with the care, responsibilities and uptake of residential properties. Residential property managers are employed to deal with all of the duties involved with finding, renting or buying domestic property. Both property owners and buyers may find it useful to hire a residential property manager. Those who are searching for a property can use a property manager to help find them a suitable property in an area where they want to live, whereas property sellers and developers can hire us to take care of maintain, selling or renting out their property. Apartments, houses, condominiums and multifamily homes are all types of properties which residential property management companies deal with. Property hunters who are searching for a suitable property to rent or buy may benefit from hiring a property manager so as to ensure that they are making the right move to an appropriate area. A property manager can provide you with trusted information and details regarding the property and area in which you are interested in so that you can be sure you are making the right move. If you have made a bad move before you will be able to understand why residential property management services can be such a great help. Hiring such services may seem like a lot of work, but can actually save you time, money and stress in the long run by helping you to find the perfect new home for you. Property developers often own numerous properties, which can often be spread all over the county or country, so it clear to understand why they are so busy. A developer’s job is to invest in property and to make a profit, looking after and maintain the properties is not really part of their role, and this is why they hire a property management team to offload some of the work. Renting out or re-selling a property are both profitable moves, which a residential property manager can help to take care of. We will take on the full responsibility for renting out or selling your property without you having to lift a finger. To ensure that your property is being rented out by reliable and trusted tenants, we will conduct interviews before hand to get to know the potential tenants before agreeing to lease out a property. Our services are perfect for any busy property owner or developer who needs a trusted team to look over their properties of they are out of the area or unable to do the job themselves. We take full responsibility for keeping interest in any property that you may have on the property market to sell or lease. Hiring a property manager will help you to keep your property business property when you are unable to manage the tasks and responsibilities involved yourself. Our trusted and professional property management services await you, so pick up the phone and call 020 3743 9772 and leave the work to Office Cleaning London.